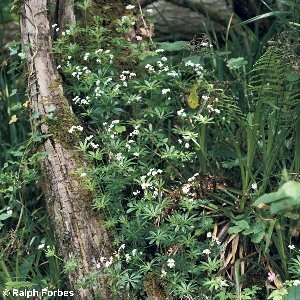 Woodruff is a rather short, early-flowering, sweetly-scented, white-flowered bedstraw found in shaded situations. It is widely distributed across Nortrhern Ireland. 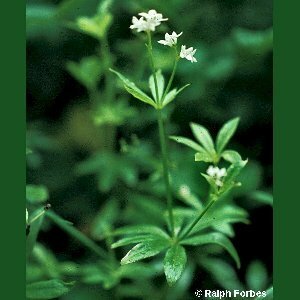 All names: Galium odoratum (L.) Scop. 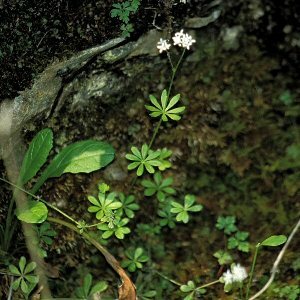 ; Asperula odorata L.